You will need to prep your jars, bands and lids before starting. I used the water bath method of canning. Pulse tomatoes in food processor until desired consistency. Add to a large sauce pan and heat on medium. Pulse onion and peppers in food processor and add to tomatoes. Pulse cilantro and garlic. Add lime juice and pulse another 10-15 seconds. Add to tomato mixture. Add vinegar, cumin and chilli powders. Bring to a boil. Reduce heat and simmer for 10 minutes. 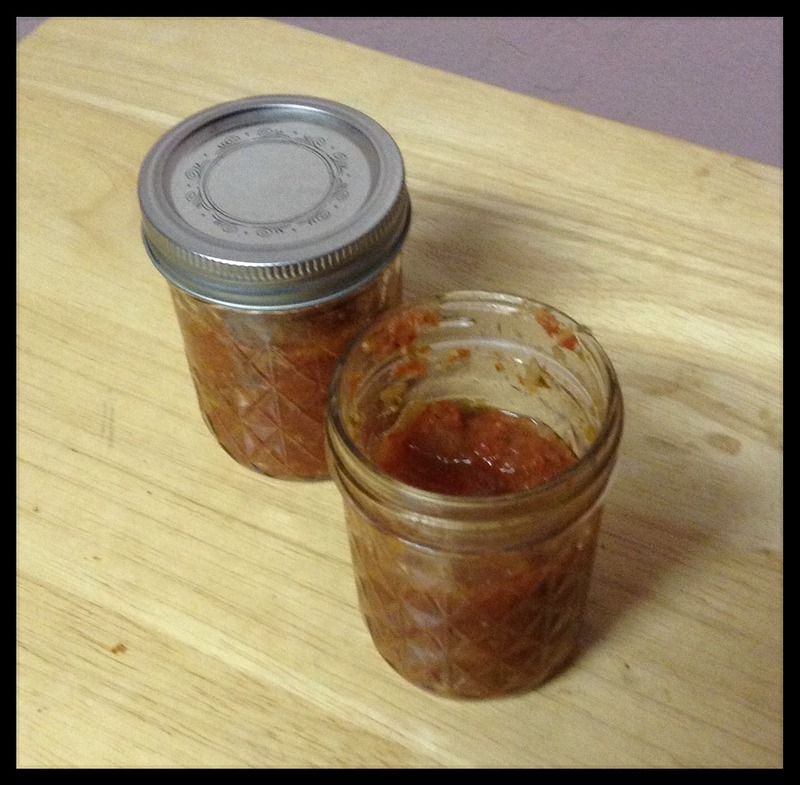 From Blue Book Guide to Preserving : Ladle hot salsa into jars leaving 1/2 inch of head space. Adjust two-piece caps. Process 15 minutes in boiling water canner.